"The fix is in." 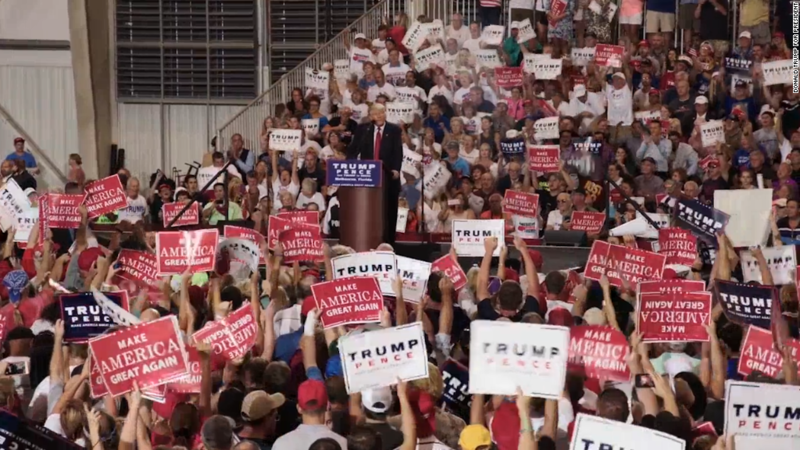 "The election is a fraud." "This Newsweek cover proves the election is rigged." 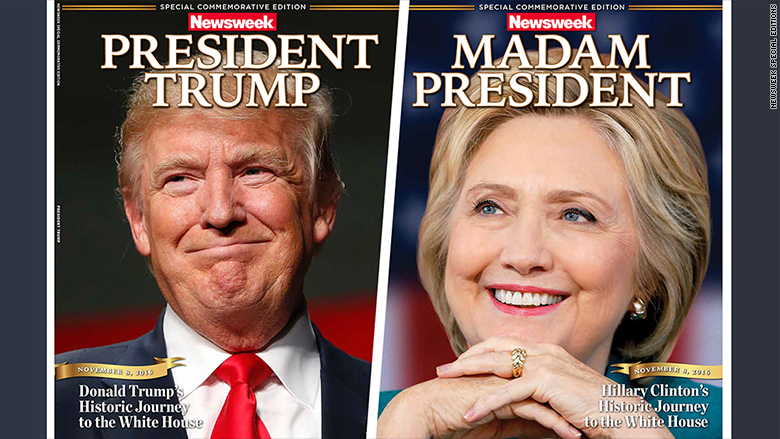 Right wing blogs and Facebook forums lit up with the fake news on Monday after a woman tweeted out a picture of Newsweek's "Madam President" cover. This is the media version of World Series keepsakes that were on sale in Cleveland and Chicago last week. Street vendors printed "Cubs win" and "Indians win" T-shirts, then trashed the Indians shirts after the Cubs won Game 7. If Trump wins, the Clinton copies will be trashed and the Trump version will be rushed to the printing presses -- a simple business calculation, Romando said. Those sorts of decisions are made all the time in the publishing industry. But the reactions to the leaked Clinton cover illustrate how some Trump supporters have been primed to believe that the election is being "stolen," as Trump himself has suggested. "The fix is in," said an obscure web site called "DC Clothesline" after a woman who identified herself as a bookstore worker tweeted a photo of the "Madam President" cover. Other sites with names like "Investment Watch Blog" posted stories about the media "colluding with the Clinton campaign" to prepare for the election. "One thing we know for certain is that Newsweek will not be publishing a 'special commemorative edition' of its magazine that is favorable to Donald Trump if he wins," Infowars said. "Two separate teams have worked to create two special editions tailored to the specific stories surrounding each candidate," Romando said. The bookseller woman deleted her account after the tweet triggered conspiracy theories on Monday -- and that act started brand new theories. She may have caught some heat at work -- because booksellers and magazine shops usually agree not to release publications before their "on sale" date. Romando explained: "Unlike hard news magazines, commemorative editions for sporting events, elections and unfortunately deaths are created weeks, months, and even years in advance. The largest publishers in America have dozens of tributes ready to print at plants across the country," he said. And he brought up the Cubs analogy: "One minute after the Chicago Cubs won the World Series their commemorative T-shirts went on sale and the losing team's T-shirts were scrapped. As is customary in the collectible consumer goods community. This was a business decision. Not a political decision."